Gwala Stadium on Friday night. The win was inspired by a superbly-taken Evans Rusike brace, with Siphesihle Ndlovu getting the other goal. United started brightly and Mohau Mokate headed over the bar after three minutes before Lebohang Maboe’s shot was deflected wide. Rusike opened the scoring in the 30th minute when he showed lovely footwork to beat his man before finishing clinically past former Maritzburg keeper Virgil Vries. Siphelele Ntshangase was close to restoring parity just after half time when he fired into the side-netting. Instead the Team of Choice doubled their lead when Rusike beautifully picked out the top corner in the 53rd minute after some neat interplay on the edge of the box. It was 3-0 12 minutes later after Ndlovu jinked his way past several defenders before squeezing a tight shot into the roof of the net. 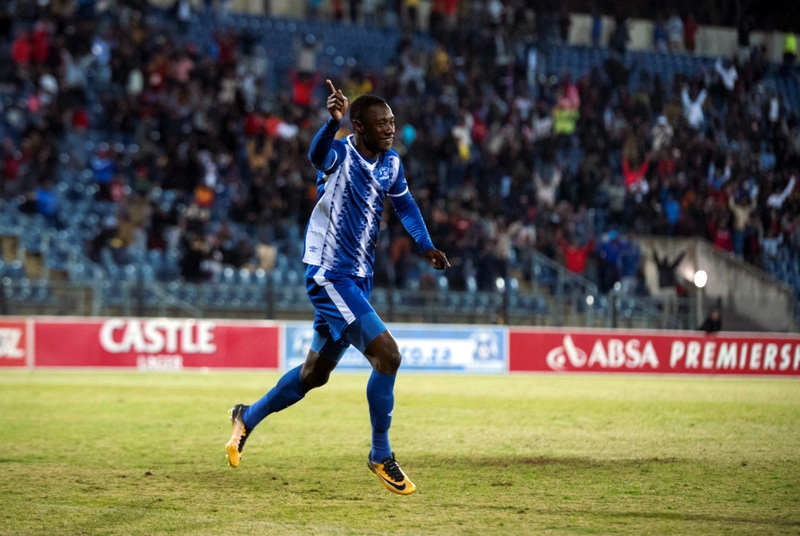 There were a couple more chances for an on-form Maritzburg side, but 3-0 it stayed as the KwaZulu-Natal capital city club made it two wins from two this week. Maritzburg: Ofori, Sanoka, Xulu, Fransman, Shandu, Maboe, Ndlovu, Makaringe, Rusike, Mokate, Mekoa. Subs: Mpandle, Fileccia, Kunene, Onyango, Weidlich, Atouba, Van Wyk. Baroka: Vries, Shaku, Kgoetyane, Banda, Moeti, Mothupa, Ntshangase, Kgaswane, Madubanya, Mdantsane, Ngalande. Subs: Masuluke, Chahapihwe, Matloga, Macha, Rethabile, Mosele, Mapetho.